Hands down, the most rewarding part of my job is that I get to connect with the families I have the honor of photographing. Truth be told, I fall madly in love many of them. By the end of the session I want to take each precious child home with me. No need to be alarmed, I just love kids, I won't actually take your children. Ha! There is a method to my madness. My connecting to the children is intentional. If I get them on board to play and engage with me, they will interact with mom and dad (in turn, getting mom and dad to relax and enjoy the session) which ultimately results in the most amazing, authentic, real family portraits. 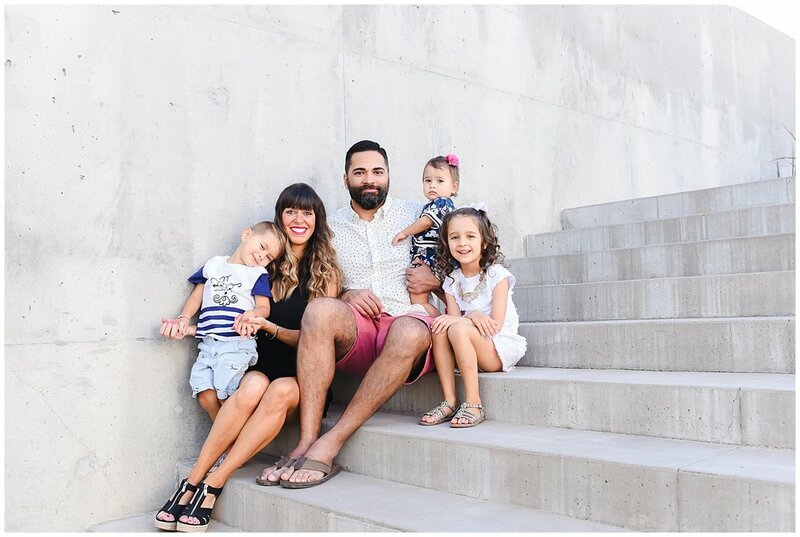 This gorgeous family sprinkles the SweetLife Photography website often as they just exude what I stand for. 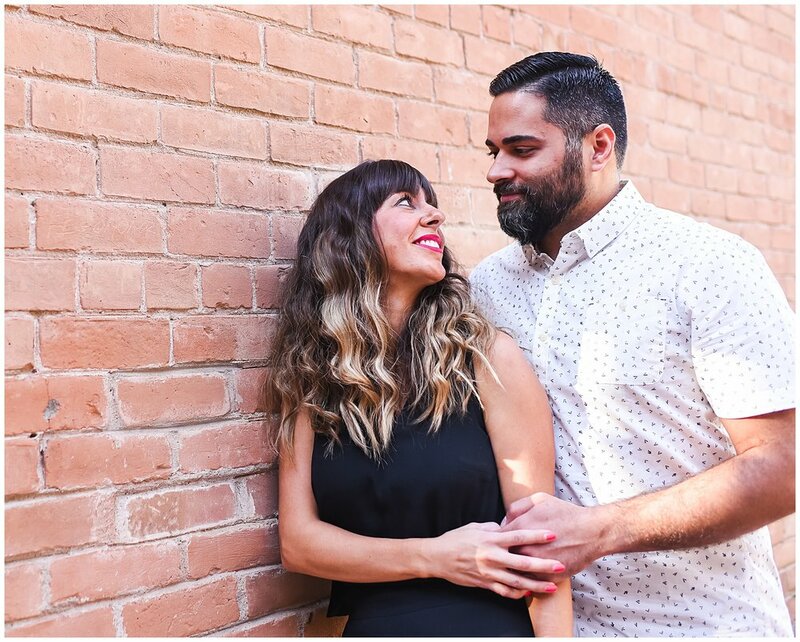 A connected, loving family that appreciates natural, joyful and authentic family portraiture with the goal of documenting their sweet life just as it is at this moment in their lives. It is my mission to capture that love and mutual adoration they have for each other. I like to think that years from now these adorable siblings will be reminded of their childhood days and see just how much they meant to each other. 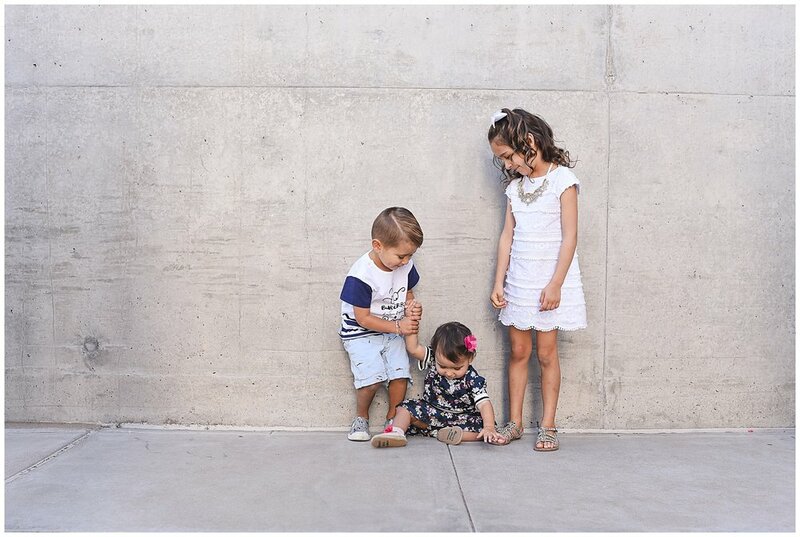 I gladly met this crew at the Arizona Science Center in downtown Phoenix for their urban family photo shoot. The contemporary vibe and contrasting styling worked perfectly together. I love that this location provided a ton of variety too!